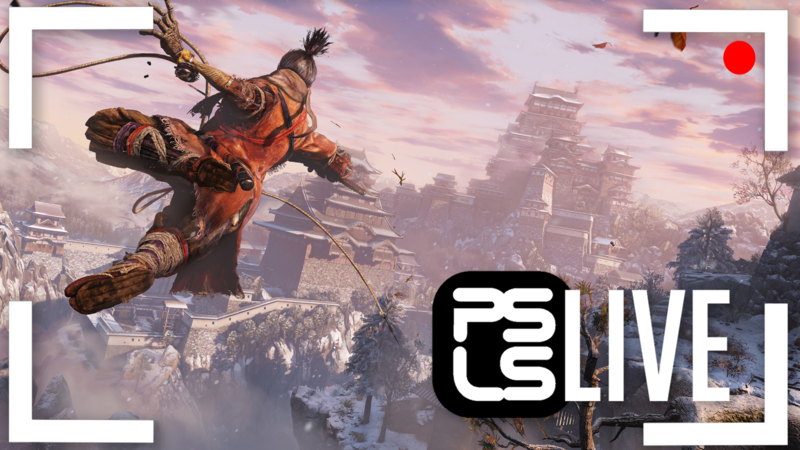 We’re resurrecting the PlayStation LifeStyle Twitch channel to bring back PSLS Live, where you can catch us playing anything from the latest games to older games, to games that haven’t even been released yet. To kick off our renewed live streaming, we’re bringing you the first two hours of Sekiro: Shadows Die Twice ahead of its release on Friday. Tune into the stream below as we get our asses kicked by Sekiro’s earliest enemies and explore the beginning of the narrative and world that FromSoftware has crafted. Sekiro offers a unique approach to death through the resurrection system, integrating death as a potential strategy in combat. Combat has also received a big face lift in comparison to From’s previous pedigree. You can get a closer look at how everything fits together in our stream below. If you missed our previous hands-on impressions of Sekiro that allowed us to play the game while talking to some of the devs, be sure to read that to get an idea of our thoughts on these early moments of the game. Recently the trophy list for Sekiro leaked out, but be warned that there are definitely spoilers in the list. If you want to go in without any idea of narrative twists the game could take or bosses you might fight, make sure to avoid reading the trophies. File sizes for both the game and its day one update were also revealed. Let us know what else you’d like to see us stream on PSLS Live! Want to see us playing the latest games we’ve reviewed? How about grinding for Platinum trophies in older games? Maybe our multiplayer adventures? We want to bring you more live streaming of a variety of PlayStation content, showing you what and how we play. We also want to get you a few different faces and voices on stream (otherwise it will just be me playing Destiny 2 all the time, and I know you’d all be riveted watching that). If you enjoyed the return of PSLS Live, please let us know. Our streaming schedule might be a little bit unpredictable as we iron things out, but we’ll try to give advanced notice before going live. Thanks for joining us! We’ll see you on the next one.